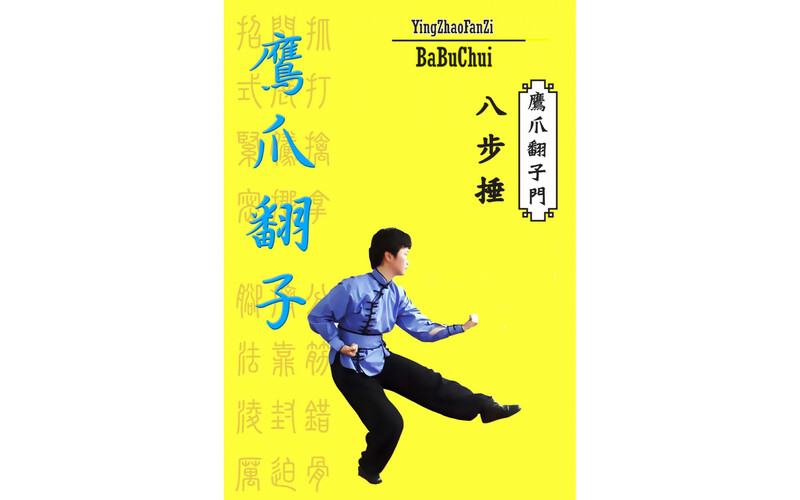 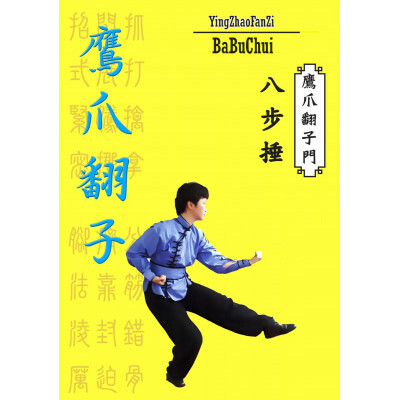 Ba Bu Chui is an important and representative routine in Eagle Claw Style. 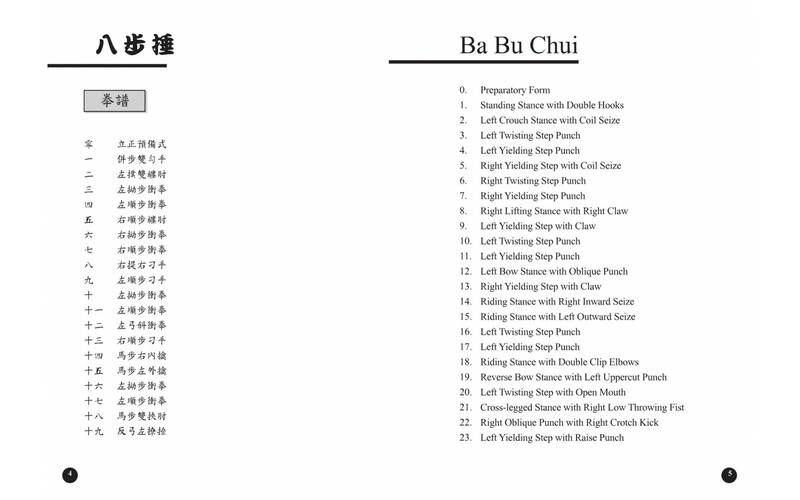 “Ba Bu”, meaning “eight steps” literally, describes the routine’s nimble footwork to be aligned with the shape of the Chinese character “eight (八)”. 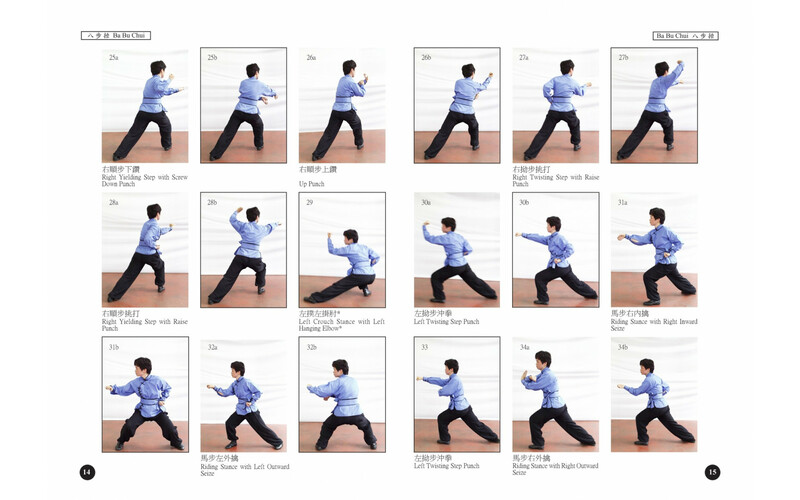 The gait facilitates flexible movement of the body in diverse directions and in turn, allows unpredictable attack on the opponent. 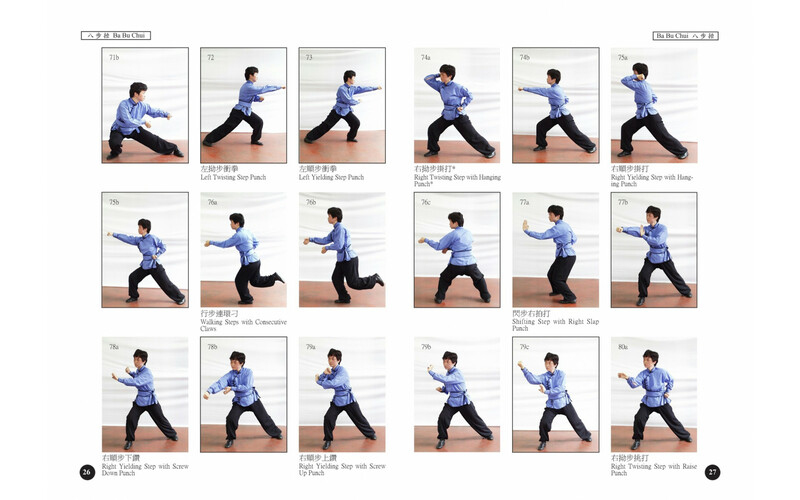 The hand skills on the other hand emphasizes on grabs and grips, where sequential movement of such resembles the fierce attack of eagles on their prey.